Based in Flint, Michigan, USA, the four young sons of an electrician welded together their debut album. 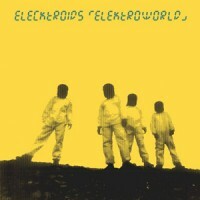 This album, titled "Elektroworld", is a personal tribute to the well known pioneers of the electro-disco-beat; Kraftwerk. A rarity amongst the electro scene, as well as a masterpiece in DIY electronix, Clone Classic Cuts reissue the illustrious album from 1995 - the only one the band ever completed! Matt says: Phwoooar! Certain to cause a twitch in the trouser pocket of the more geeky and technologically minded gentlemen. First time reissue of this seminal but oft-overlooked electro masterpiece.